Matt’s practice is focused on employment law, business litigation, and labor law. He counsels employers and human resources professionals on how to hire, fire, pay, manage, and negotiate with employees, he drafts employment contracts, employee handbooks, non-compete agreements, and non-disclosure agreements, he conducts workplace investigations and trainings, he represents companies and individuals in federal and state courts, and he is also an experienced practitioner before administrative agencies such as the R.I. Commission for Human Rights, the R.I. Department of Labor, the National Labor Relations Board, and the U.S. Equal Employment Opportunity Commission. Among other issues, Matt has litigated contract, insurance, and real estate disputes, benefits claims, discrimination claims and wage disputes, collection actions, and tort actions. He counsels clients concerning Title VII, the ADEA, the ADA, the FLSA, the FMLA, the NLRA, and state labor and employment laws and regulations. He represents unionized employers in grievance arbitration hearings and in defense of unfair labor practice charges, he contests union representation petitions, and he has successfully handled unemployment and other agency appeals. Matt has also enforced and challenged various non-compete, non-solicitation, and non-disclosure agreements, and he has prosecuted and defended whistleblower and retaliation cases. Additionally, he has counseled several clients towards favorable settlements in confidential mediations. 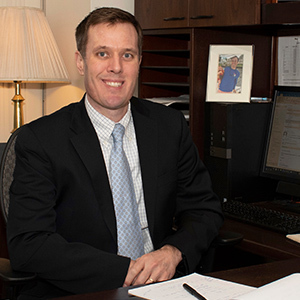 In his “free” time, Matt is an editor of HR Hero’s “Rhode Island Employment Law Letter”, he is a competitive sailor and squash player, and he enjoys spending time with his wife and their two young children.